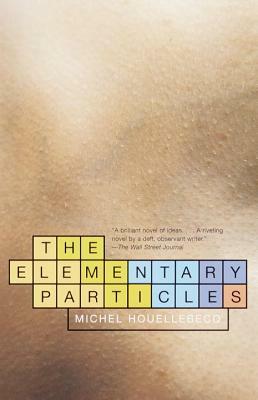 An international literary phenomenon, The Elementary Particles is a frighteningly original novel–part Marguerite Duras and part Bret Easton Ellis-that leaps headlong into the malaise of contemporary existence. Bruno and Michel are half-brothers abandoned by their mother, an unabashed devotee of the drugged-out free-love world of the sixties. Bruno, the older, has become a raucously promiscuous hedonist himself, while Michel is an emotionally dead molecular biologist wholly immersed in the solitude of his work. Each is ultimately offered a final chance at genuine love, and what unfolds is a brilliantly caustic and unpredictable tale. Translated from the French by Frank Wynne. Michel Houellebecq lives in Ireland. "An original work of art–ironic, intelligent and as airtight and elegant as a geometry proof." "[A] brilliant novel of ideas... [A] riveting novel by a deft, observant writer." "Fearless, vivid and astringently honest…surprisingly funny... [C]an permanently change how we view things that happened in our own lives. Not many novels can do that."